Color is what this handcrafted wooden bangle bracelet is all about. This bracelet is a hand-turned solid wooden bangle that has been stained a deep shade of walnut. 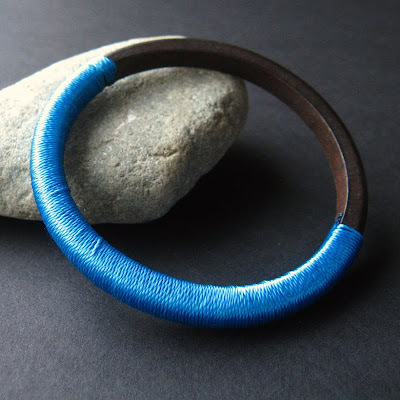 Once cured, the bracelet was then wrapped in silky nylon fiber for a splash of vibrant color. One, or even a variety, of these beautiful decorative pieces can splash up any outfit with color and interest.